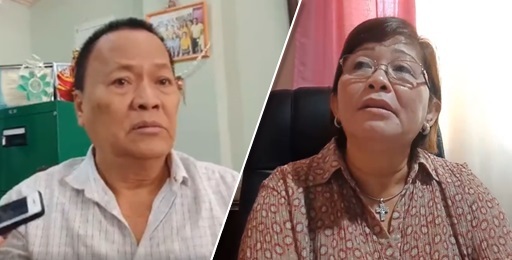 Dismissed Panglao Mayor Leonila Montero on Monday reassumed her post as the town’s local chief executive on basis of a decision from the Court of Appeals (CA) reversing the Ombudsman’s penalty against her from dismissal back to suspension, which she had already served. “I am the mayor effective karong adlawa,” said Montero who appeared before the town’s Sangguniang Bayan (SB) on Monday morning. Montero appealed to the SB to recognize her return as the town’s top official through a resolution. Fuertes said that an order from the Department of Interior and Local Government (DILG) is needed for the latter to be reinstated as mayor. According to Fuertes, he would only recognize the appellate court’s order once it is issued through the DILG. “Just give me the order through DILG—kay DILG may mo-patuman—anha pa ta mo-tuman. Mo-sunod g’yud ta kay balaod mana. So kung wa na, ako gihapon ang full-fledged municipal mayor sa Panglao,” said Fuertes. However, Montero said that she does not need the DILG to reinstate her based on the Local Government Code as she had already taken her oath of office when she was elected in 2016. An order from the CA presented by Montero indicated that the Ombudmsan’s decision in the case against her was reverted back to simple misconduct from grave misconduct, which previously led to her dismissal and her perpetual disqualification from holding public office. The order was issued on June 28, 2018, said Montero. “Dugay ra unta ko mo-balik pero di ko ganahan na ma-putol ang mga maayong plano sa atoang mi-linkod as mayor in my absence sa kalihukan sa atong lungsod sa Panglao pag-fiesta. Unya karon, mao ang the best time na I decided to [proceed] with my presentation sa atoang Sangguniang Bayan nga mo-linkod na ko effective karon,” she said. Montero was suspended last year for three months without pay for simple misconduct for appointing her partymates who lost in the 2013 elections to positions in the Panglao municipal government. In February, former Ombudsman Conchita Carpio Morales ordered Montero dismissed after upgrading findings to grave misconduct.